The shooting at a Pittsburg synagogue this past week was a horrific act that rightfully requires America to pause, reflect, and take stock of where we are as a nation and where we hope to be. Racism of any kind should not be accepted, tolerated, or promoted. Sadly, the Democrat Party has done that very thing far too often in recent years, and more and more Americans are finally becoming aware of it. Self-reflection can be an uncomfortable thing, but self-reflection is exactly what Democrats in 2018 need to be doing if they hope to remain a viable political party in this country. A Jewish man was stabbed to death by the Sharpton-inspired mob. Seventeen years later, President Barack Obama counted Sharpton as one of his closest advisers on the subject of race in America and Sharpton was an all too frequent guest at the Obama White House. A truly free and responsible media would have condemned the relationship. Instead, the media applauded as Mr. Sharpton’s long (and deadly) anti-Semitic history was ignored in favor of protecting the Obama presidency. Wright’s anti-Semitic incitement has a second relevant aspect: Obama’s looking away from it while he was a congregant of Wright’s. Obama justified this by saying that Wright had changed over the years and that he had never heard him talk about any ethnic group in derogatory terms. In this remark he avoided the core of the issue. In retrospect, we know that Obama, if it suits him, has a remarkable capability for looking away from crimes committed by specific groups or individuals. While President, he whitewashed Islam of many of the huge crimes coming out of parts of it. So, for instance, he said that “ISIS and Al-Qaeda were distortions of Islam.” It was absurd for a Christian President to speak as if he were a Muslim theologian. An analysis of his rhetoric, regarding Islam, shows in detail his intentional blindness and deafness. 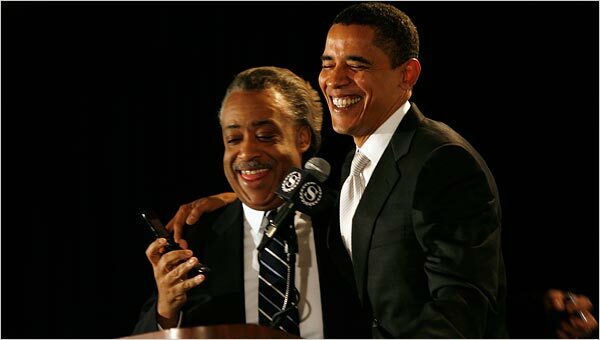 Mr. Obama’s close ties to Sharpton and Wright would indicate a pattern of anti-Semitism—one the media should have been far more willing to investigate. But again, the issue was ignored and Obama was protected. Interestingly, Wright would come to claim Obama was being ‘controlled by the Jews’, the very same claim this week’s Pittsburg synagogue shooter made in relation to his deep hatred of President Donald Trump. The difference, and it’s incredibly significant, is that Barack Obama excused that kind of racist hatred while President Trump condemned it. Ellison has a long history of sordid association with anti-Semitism. He worked with and repeatedly defended one of a handful of the most notorious and public anti-Semites in our country: The Reverend Louis Farrakhan. And worked with Farrakhan at the very time this anti-Semite was publicly describing Judaism as a “gutter religion” and insisting that the Jews were a primary force in the African slave trade. Ellison has publicly stated that he was unaware of Farrakhan’s anti-Semitism. That is not a credible statement. Everyone was aware of Farrakhan’s anti-Semitism. 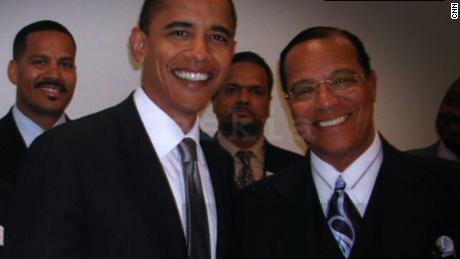 Farrakhan did not try to hide it. Indeed, he proclaimed it on every occasion. Ellison is either lying or he willfully blinded himself to what was obvious to everyone else. Neither of these qualities makes him suitable to be the next chairman of the DNC. Moreover, Ellison himself has made anti-Semitic statements. A prominent lawyer, with significant credibility, told me that while he was a law student, Ellison approached her and said he could not respect her, because she was a Jew and because she was a woman who should not be at a law school. This woman immediately disclosed that anti-Semitic and anti-feminists statement to her husband and friends, and I believe she is telling the truth. Ellison’s anti-Semitism is confirmed by his support for another anti-Semite, Stokely Carmichael. 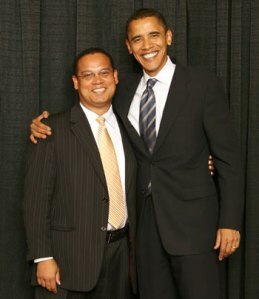 And yes, Obama has been a supporter of Ellison’s and the longtime anti-Semite Louis Farrakhan, as well. Those words were spoken just last year to a largely Democrat Party/anti-President Trump audience. It should also be noted the photo above with Obama and Farrakhan was during a meeting between Farrakhan and the Congressional Black Caucus. Anti-Semitism runs long and deep throughout the Democrat Party. What is outlined above is just the proverbial tip of the iceberg. Why more are not aware of this is due in great part to the Establishment Media repeatedly choosing a political agenda over the reporting of facts. SHARE THIS STORY AND HELP TO EDUCATE OTHERS SO THAT OUR ELECTIONS CAN HELP TO HOLD THEM ACCOUNTABLE FOR THEIR ONGOING LIES.